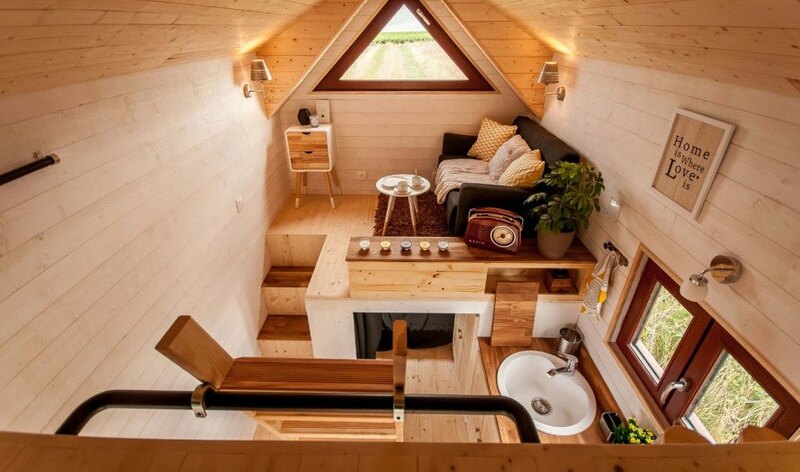 Tiny homes have taken the world by storm. These minuscule structures have been touted as the perfect solution for housing refugees and the homeless, but have become increasingly popular as a space saving solution, as well as a cheap way to home ownership. These tiny houses are relatively cheap, usually come prefabricated and are cleverly designed to maximize internal space. They are designed to be energy efficient and many are even sustainable – relying on solar and wind power, collecting rainwater and even reusing grey water. 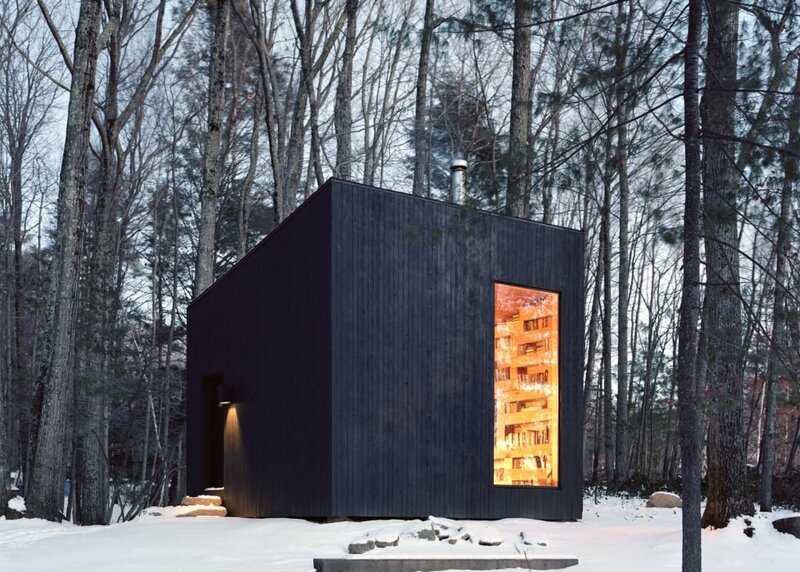 Designed and built by Studio Padron, this little black cabin houses a tiny library and acts as a guest house. Situated in the woods in upstate New York, it’s been named “Hemmelig”, which means “secret room” in Norwegian. Unlike prefabricated homes, the Hemmelig took several years to build and utilizes local fallen trees. Much emphasis was put on large windows, to create a connection with the surrounding forest. 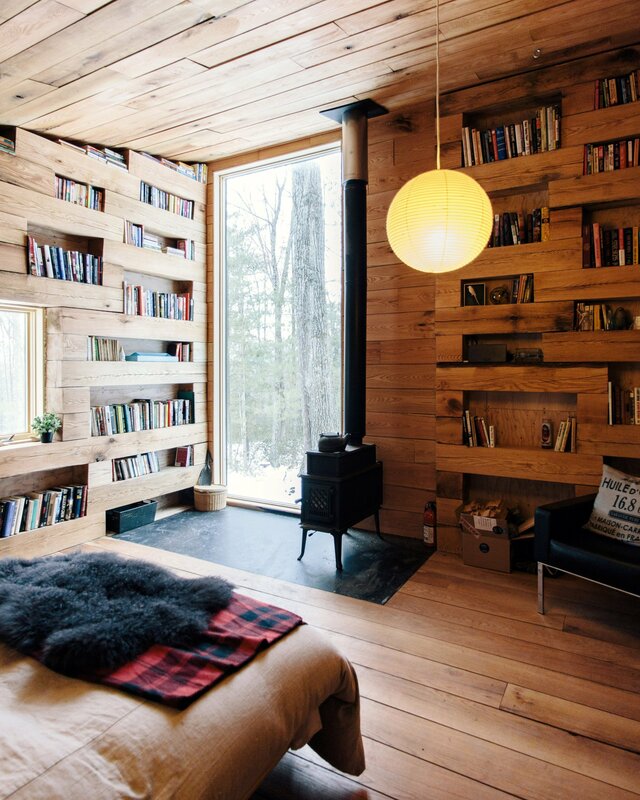 With the exception of the windows, all walls of the cabin are covered floor to ceiling with bookshelves that have been incorporated into the structure. The G-pod Dwell is a tiny house created out of a shipping container. It’s portable, can be operated entirely off-grid and can be expanded and extended with pull-out sections and combinations to make a bigger home if necessary. It has a neat covered fold-out deck that acts as a porch and is great for enjoying the outdoors. The same company makes similar structures that can be used as mobile shops, cafés, etc.. The blob vb3 was originally designed to be an extension to an existing building, in response to a more standard extension plan being rejected by the planning regulation authorities. This “space pod” styled unit was quickly upgraded to full tiny home status and has a bathroom, a kitchen, and a bed, as well as storage and a bit that opens into a deck of sorts. It’s completely portable. Hailing from Italy, the Biosphera 2.0 oozes style, but it designed with serious science behind it. It’s completely self-sufficient and produces its own energy with an array of large solar panels. The 25 square meter building is built to last and affords comfortable living in situations ranging from cold weather to air pollution. In fact, it can offer a very pleasant inside temperature at an outside temperature range of -21 to 39 Celsius. The Odyssée “petit Maison” from the French company, Baluchon, can apparently house a family of three within its tiny confines. Apart from the usual main space, bathroom and sleeping area, it has an extra room which can be used as a guest room or to house a child. Beautiful inside and out, this little house is completely portable and made out of several different kinds of natural materials. It has a modern, natural feel and offers much natural light.